Driving under the influence of alcohol or drugs triggers major problems for most successful people. Hiring an expert DUI defense attorney Marietta GA becomes priority #1 for people who cannot afford to have a conviction for a Cobb County DUI in Georgia. 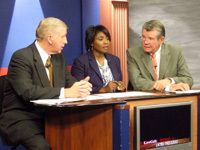 DUI attorney Marietta GA William C. Head has been THE go-to criminal defense attorney in Georgia for 40 years. “DUI” is the most common acronym for driving while intoxicated, America’s most feared traffic ticket. The other less common abbreviations used in other states are: DWI, OWI, OUI, OVI, DUII, DWUI and a few other state abbreviations. Regardless of the shortcut acronym, intoxicated driving is a potential career-ender. The related DUI penalties and the long-term consequences of a DWI-DUI are staggering. These drunk driving facts, that are applicable to any Georgia DUI being handled by a drunk driving attorney in Cobb County GA (Marietta), can assist an accused drunk driver find a way to get the drunken driving charge reduced to reckless driving or get the DUI dismissed. For most accused citizens facing driving under the influence charge, a DUI reduced to reckless driving is an acceptable resolution of a DUI ticket. DUI attorney ratings are numerous and confusing. Your task is to “filter” out any lawyer rating that is from a pay-for-a-badge service, and hire a peer-reviewed criminal defense attorney whose prior experience with traffic tickets for drunk driving in Cobb County sets him or her apart. 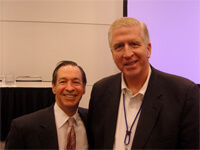 Only 4 top lawyer review services count: (a) Board Certification by NCDD.com, through the ABA; (b) Best Lawyers in America; (c) Martindale-Hubbell “av” and preeminent; and (d) Super Lawyers. Many people get arrested for a Cobb County DUI in unincorporated Cobb County Georgia, and these cases begin their court process in State Court of Cobb County, in downtown Marietta. If you can find the Strand Theatre, then you are diagonally across the street for Cobb State Court. Misdemeanor DUI arrests made within the City of Marietta by Marietta Police (or an occasional GA State Patrol case) start in the Marietta Municipal Court. This municipal court for Marietta is located less than ¼ northeast of the Marietta Square, and is in the same building as the Marietta Police Headquarters. DUI Lawyers with experience with Cobb traffic court cases know that two advantages occur by being arrested inside the Marietta city limits. 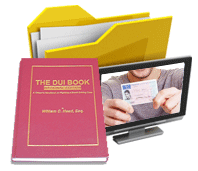 First, you get two chances to find a non-DUI resolution for your DUI case. Separate prosecutors and judges exist for the two courts. So, it makes sense to explore a possible reckless driving in GA, at Municipal Court of Marietta. The second, and more important advantage to having two courts is covered below. Almost every Georgia DUI has an administrative license suspension appeal associated with the criminal traffic ticket case. Look for your Form 1205, which is the paper that replaces your Georgia driver’s license, and acts as a temporary license. YOU MUST APPEAL within 30 DAYS. Your DUI attorney Marietta GA should have asked you about this emergency situation immediately, and helped you get this DDS appeal properly filed, with the $150 filing fee, within “30 days.” Late filings of the ALS appeal to DDS GA can cost any accused drunk driving with a DUI refusal a one year total loss of license. Incidentally, all Cobb County DUI administrative court cases, including administrative driver’s license appeals, are heard in the same courtroom as Marietta Municipal Court cases, but at different times and dates. July 1, 2017 IGNITION INTERLOCK ALTERNATE OPTION: Georgia DUI law now lets you elect to install an ignition interlock device on your vehicle instead of filing an appeal. Within 30 calendar days of your arrest, you must go to the Georgia DDS to apply for an ignition interlock permit. Then, within 10 days of getting the permit, you must have it installed. The second great advantage to getting arrested in Marietta Municipal Court is the option for demanding a trial by jury. The DUI attorneys at your DUI law firm will make this decision, or at least suggest this resolution for you, if your DUI cannot be dropped to a reckless driving Georgia disposition. In DUI misdemeanor cases, a 6-person jury decides your case. In DUI felony cases (like a serious injury by vehicle GA), at Superior Court, a 12-person jury decides any felony DUI or other issues. The critical importance of hiring a highly-rated attorney who is a DUI specialist, with a DUI defense lawyer firm, is critical. 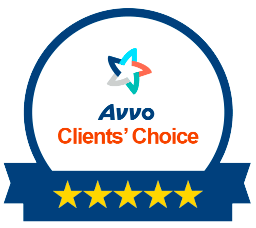 Read our drunk driving defense attorney ratings by clients (on Google + and AVVO) for all of the DUI law firm’s partners, before hiring anyone else. 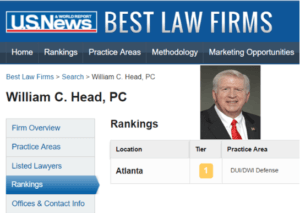 The nation’s most widely-recognized DUI defense lawyer William C. “Bubba” Head, DUI Lawyer Atlanta, and his partners, Larry Kohn and Cory Yager are ready to serve you. Mr. Yager was once a Cobb County police officer, before going to law school, and joining Mr. Head about 10 years ago. In addition, look for “case reports” about Georgia DUI trials in Marietta, in State Court of Cobb or Marietta Municipal Court. One of Mr. Head’s most famous, successful appeals at the Georgia Supreme Court dealt with the computer source code for the Intoxilyzer breath alcohol test devices. In addition to trials or successful appeals, look for any DUI Marietta cases, where a Georgia DUI was reduced to a reckless driving Georgia resolution. This is both valuable information, and you may find drunk driving facts that are worse than your driving under the influence case. Marietta DUI attorney Larry Kohn, Marietta DUI lawyer Cory Yager, or DUI specialist and Cobb County Bar Association Member William “Bubba” Head can help on a driving while intoxicated case. All three criminal defense attorneys are Super Lawyers for 2017, and are in Marietta, GA for criminal cases in either or both Marietta criminal court locations. If you need 24-hour lawyers, call our DUI law firm now for immediate help. (404) 567-5515. Our FREE professional criminal case assessment is worth your time and energy. If winning is your objective, call our Georgia DUI law firm today. Our expert, experienced, dedicated Georgia DUI attorneys will review the DUI lawyer cost and the likelihood of getting a DUI reduced to reckless driving in GA.